The burgeoning Space Age of the 1950s was a time of opportunity and new frontiers, as all of America—and a good part of the rest of the world—turned their eyes skyward to the moon, the stars, and beyond. But for all this striving to extend ourselves, to break natural human boundaries, the Earth’s surface in the 1950s was still rigidly controlled by gendered and racial limits. 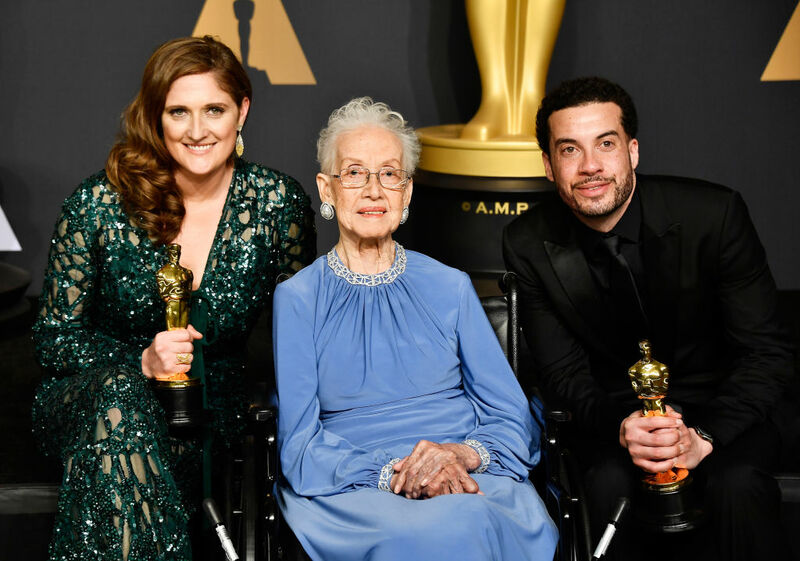 Katherine Johnson, a black woman and one of NASA’s mathematicians in the crucial early stages of the space program, had to break through these earthly boundaries as well as the cosmic ones in order to fulfill her dreams and help get a man on the moon. The 2016 Hollywood blockbuster Hidden Figures has already told some of her story, but there is still so much more to learn about this maverick woman. Growing up in racially segregated West Virginia in the 1920s and ‘30s, Johnson showed an unusual talent for mathematics even as a child, yet she had no immediate outlet for her natural skill. In fact, her county offered zero public schooling for black children after grade eight. As a result, her parents were forced to send their daughter to high school in another county—but once she was in secondary school, Johnson flew through her classes, graduating at the ripe old age of 14. College followed the same pattern of advancement for Johnson. Entering West Virginia State, a historically black college, barely into her teen years, Johnson took no less than every single math course the school offered. Professors clamored to mentor her, including W. W. Schieffelin Claytor, who was only the third African American to have received a PhD in mathematics. In fact, Claytor designed special courses tailored specifically to Johnson. She ended up graduating at 18, an age where most people are just entering college. Johnson’s race had provided obstacles for her, but in 1939 her gender came to be another hurdle when she dropped out of graduate school in order to raise a family with her first husband James Goble. After that, she had stints teaching school but found it difficult to get a research position. In 1952, however, she heard from a family member that NACA, the predecessor to NASA, was hiring mathematicians to help calculate the numbers needed to send men into space. Johnson jumped at the chance. At first, she was rejected—the positions were all full. But of course, the young woman had by then learned to persevere, and she successfully reapplied in the next round and started work at Langley, Virginia in 1953. The sky was the limit—or so it seemed. Johnson’s time at NASA is the most talked-about event in her biography and the most lauded, but it was riddled with hurdles. While there, she worked with a pool of other female “computers,” women whose job it was to crunch the numbers that NASA’s white, male engineers decided they should crunch. Math is still gendered today as a largely male domain, and back then, these female computers were often seen only as glorified secretaries. Johnson called the women “computers who wore skirts,” near-automated, well-behaved employees reducible to their gender. As in Johnson’s case, some of these women could also be further reduced to their race: state segregation laws were still in effect, and she and her other black colleagues were required to eat, work, and relieve themselves in separate facilities from NASA’s white employees. 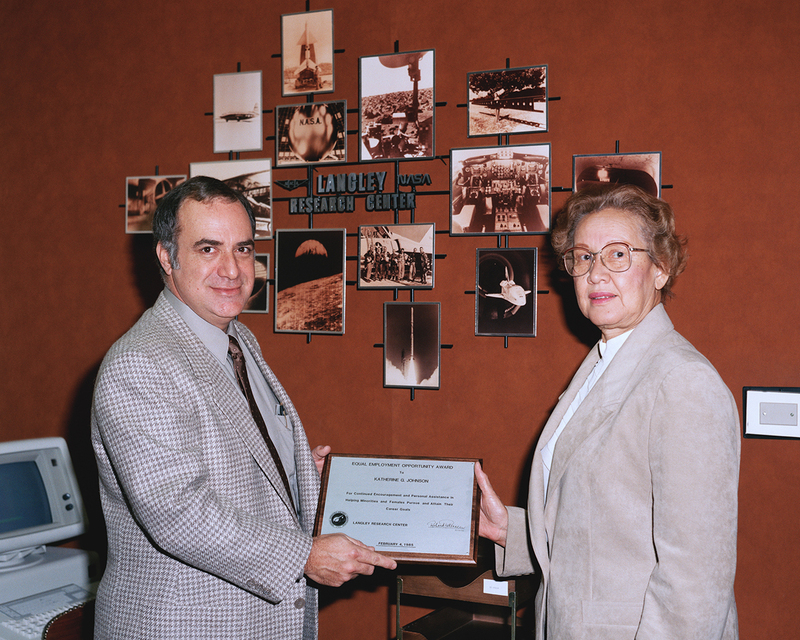 Katherine Johnson in 1985 at NASA Langley Research Center. Johnson’s description of her approach to working at NASA—despite the agency’s inherent, insidious hierarchies—is in many ways admirable. Yet it also downplays the full extent of her struggle, and the excellence she needed to display in order to gain even a modicum of respect. NASA did not simply “forget” to return her to the pool; she had to make herself absolutely indispensable. And while she may have needed to block out the racial segregation, it was as real as the gender divide. On her gendered difficulties, however, Johnson is more vocal. In one anecdote, she recalls that women needed to be “assertive and aggressive” in order to receive any basic credit for their work, since the female computers were considered “mere” administrators. Indeed, women were not even allowed to put their name on reports, and one of her colleagues had to first advocate heavily for her and then quit NASA entirely in order for Johnson to be credited on the report they had been working on together. Whatever Johnson did to advance, it was a continual struggle to not be forgotten. Yet when John Glenn was about to become the first American man in orbit around the Earth, he remembered Johnson, demanding that she check NASA’s numbers before he even considered taking off. A year before that, in 1961, Johnson calculated astronaut Alan Shepard’s flight trajectory when he became the first American in space. She also worked on the groundbreaking Apollo 11 mission, and later helped the ill-fated Apollo 13 shuttle back to Earth. 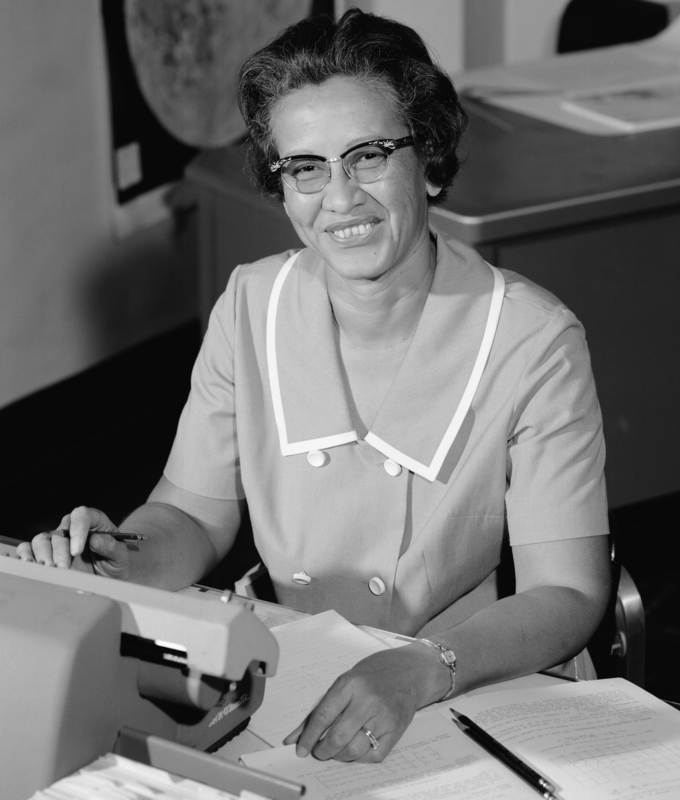 Despite the attempts to erase her contributions, Johnson more than made her mark at NASA, on the world, and on the moon. Now, over 50 years later, Johnson is getting her full due. 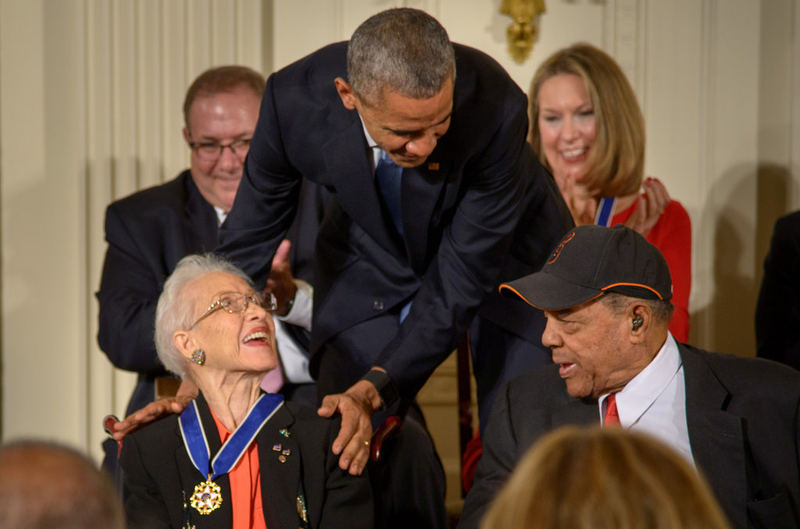 She celebrated her 100th birthday in August 2018, lived to see herself portrayed on the silver screen, and received the vaunted Presidential Medal of Freedom in 2015. Although it was unfair to require excellence of Johnson when mediocrity was accepted for others, she more than rose to the occasion—and she made the path clearer and easier for the women and people of color who followed.